1993-97 ‘Fishlike’ Swimming Creates Transformation and Mindful Practice Creates Transcendence. In 1991-92 triathletes came to TI camps in a trickle. The initial challenge they presented was that they arrived at the pool fatigued from running or biking. A more significant challenge was that many had a crippling lack of comfort or water-awareness. Traditional drills had worked well with Masters swimmers, but proved useless with adult-onset swimmers. 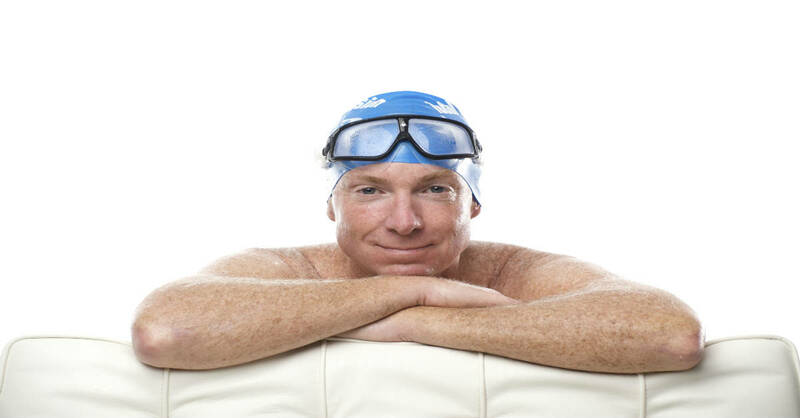 ‘Vessel-shaping’ and Balance provided the ideal solution – for all swimmers, not just the seriously-struggling. Our coaches were collectively stunned to observe that when we helped swimmers find harmony with the water before teaching propulsion skills, progress that usually took months — even years — happened in days. Soon we were calling this emphasis on balance and streamlining Fishlike Swimming to distinguish it from traditional approaches we called Human Swimming. What followed was a fortuitous convergence of a new teaching approach and optimal circumstances for refining it. In 1993, to better serve triathletes, we launched Freestyle Workshops. Teaching swimmers who were highly-challenged and usually self-coached pushed us to rigorously prioritize approaches that were (i) high impact; (ii) easily mastered; and (iii) translated well to self-coaching. Swimming is ‘alien’ to humans I never grasped this in almost 20 years of coaching youth teams but learned it with dizzying speed from adult-onset swimmers. Everything we taught that had an immediate and obvious benefit was counterintuitive (E.G. Sink into balance, instead of trying to stay on top.) And its converse: Everything you ‘know’ about swimming is wrong. Except for a tiny handful of lavishly-gifted humans, traditional technique and training is virtually guaranteed to imprint inefficiency! Swimming well requires Mindful Practice. The only way to learn skills that run counter to human nature and instinct is to practice them with constant, keen attention. People often told us that mental fatigue posed as great a challenge as physical fatigue to completing a 60- to 90-minute pool session. That planted the idea that the brain needed to be trained as much as the muscles. The original TI Book By 1995, several hundred people had direct exposure to these new ideas and approaches and most spoke of it to others, but TI still had a tiny following. Convinced that Vessel-Shaping and Mindful Practice were revolutionary, I began writing a book describing them for adults who were unable to attend a workshop. Within months of its release in 1996 word-of-mouth had made Total Immersion the top-selling swimming book. This brought TI to the attention of a vastly larger audience, many outside the U.S. Before long, many people thought of TI as a Method, not just a program.